This feature is obviously disabled by default, but users can enable it really easily if they want. I will repeat in case you didn’t understand it the first time: this feature is completely disabled by default in Windows 10. 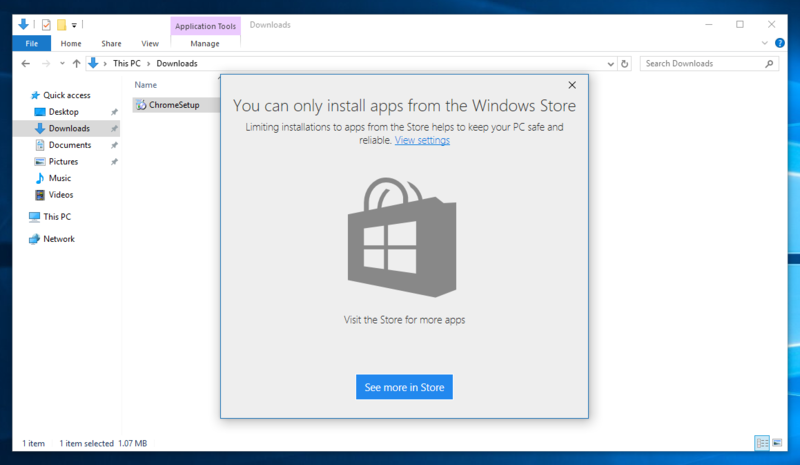 Microsoft offers two different options for the feature: you can completely prevent installation of Win32 apps, or you can allow users to install them anyway from the dialog as you can see in the screenshot above. 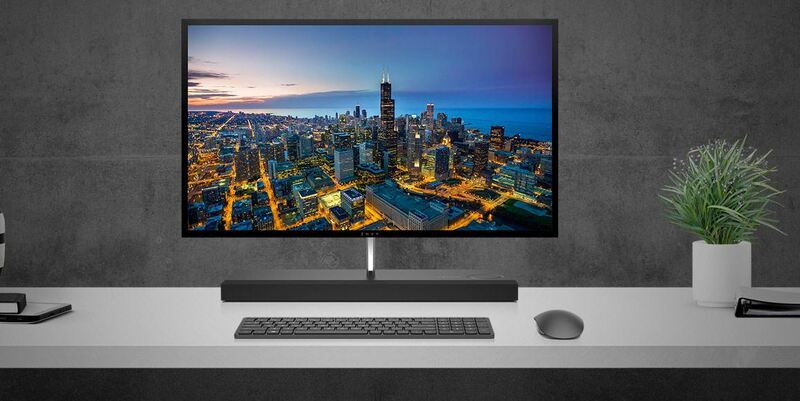 This is undoubtedly a crucial new feature in Windows 10: it will help Microsoft prevent installation of bloatware and malware on Windows 10 PCs. Of course, this feature isn’t going to be helpful for users who want to use the classic Win32 apps such as Adobe Photoshop or Google chrome — but new users who just need the basic functionalities in Windows will benefit quite a lot from this. Not being able to install Win32 apps is going to keep the PCs of novice users safe, as they are less likely to install malware on their PCs. 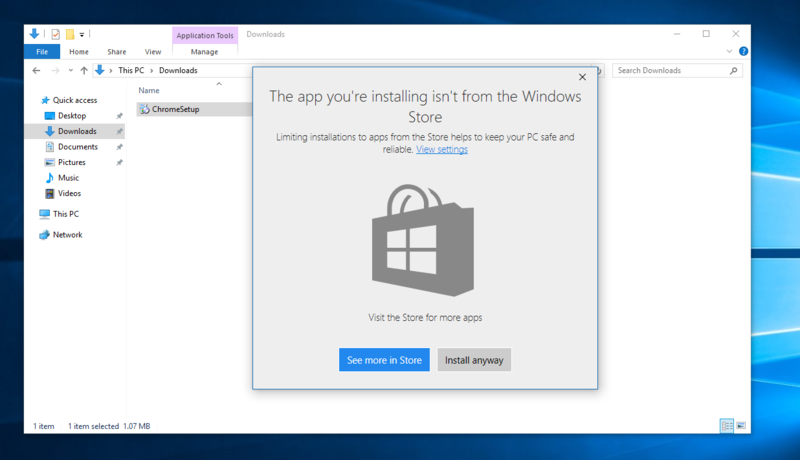 And the Windows Store has apps that will meet their needs for the most part, and they can also get some Win32 apps from the Windows Store thanks to Microsoft’s Desktop App Converter. 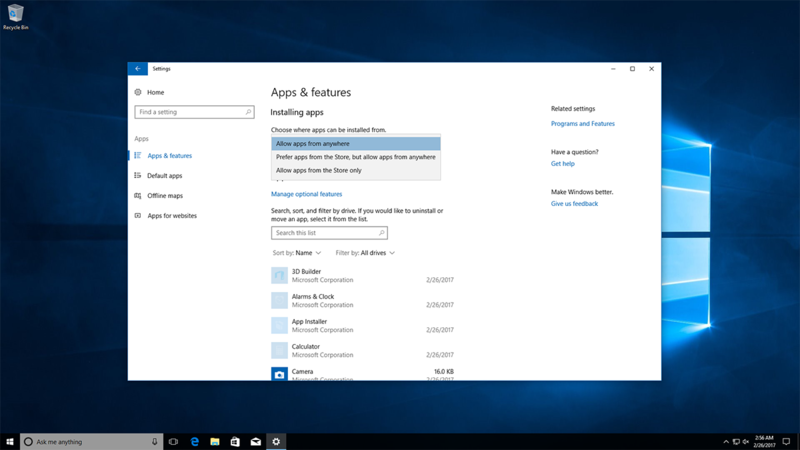 Microsoft is also working on a new SKU of Windows 10 that will completely prevent users from installing the Win32 apps, which will be very interesting to see. 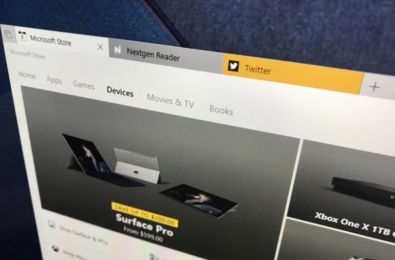 Redmond is really pushing its Universal Windows Platform lately, and that’s not really surprising to see as Microsoft continues to work towards a truly universal operating system for its devices, ranging from the HoloLens to your PC. 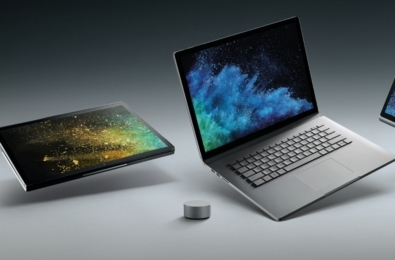 Microsoft is expected to release the Windows 10 Creators Update in April, which is when you will be able to try out this new feature along with a range of other new additions in Windows 10.